changing shared storage interface from iSCSi to Fibre. 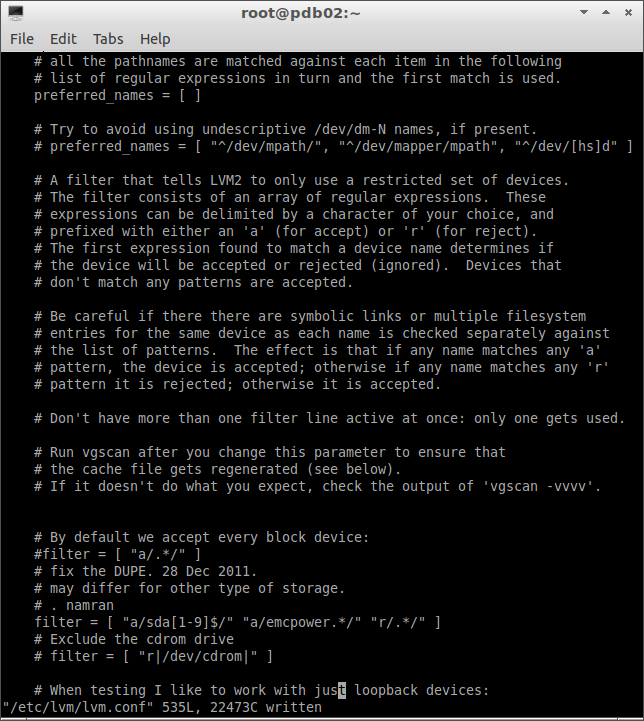 to fix above.. and enable for usage..
# A filter that tells LVM2 to only use a restricted set of devices. # prefixed with either an 'a' (for accept) or 'r' (for reject). # don't match any patterns are accepted. # pattern it is rejected; otherwise it is accepted. # Don't have more than one filter line active at once: only one gets used. # the cache file gets regenerated (see below). # If it doesn't do what you expect, check the output of 'vgscan -vvvv'. 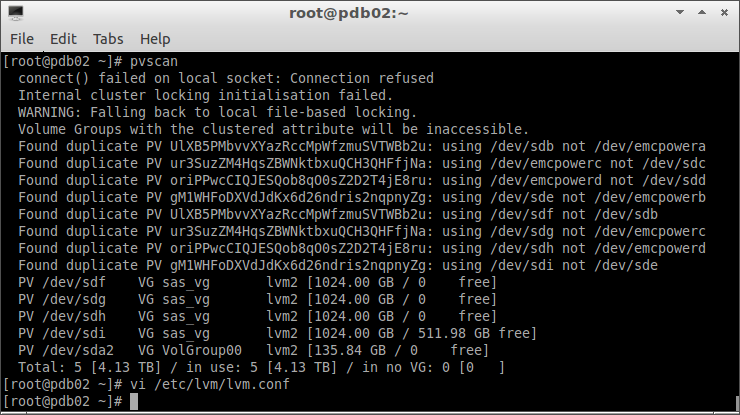 then run the following to re-scan..
lvmcache: /dev/emcpowera: VG sas_vg: Set creation host to pdb02. lvmcache: /dev/sda2: VG VolGroup00: Set creation host to localhost.localdomain.